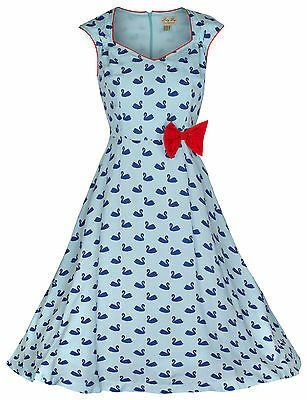 Jeanette Rockabilly Leopard Trim Diner Dress. I would have loved loved loved having this dress. It’s a bit outrageous and a little costumey but I love it nonetheless. That leopard trim is amazing and I adore the pockets and I’ve wanted a diner dress for ages. I would have perhaps liked the sleeves to have been a little less exaggerated but even like this I think it is a beautiful dress. 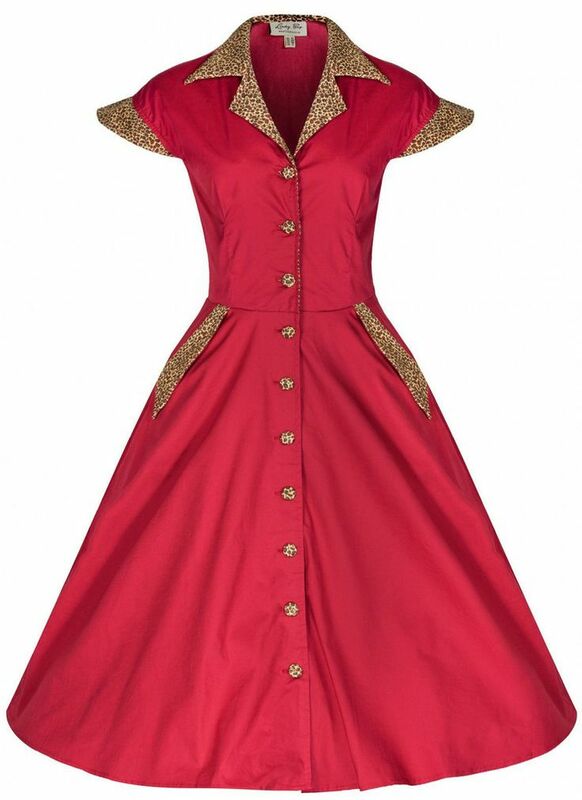 Grace 1950’s Bow Swing Dress in red. Now, I don’t really need another red dress, but I figured that this dress was different enough from the others in my collection and also cheap enough that I could buy it. I can’t wait to try it on and I hope it fits right. 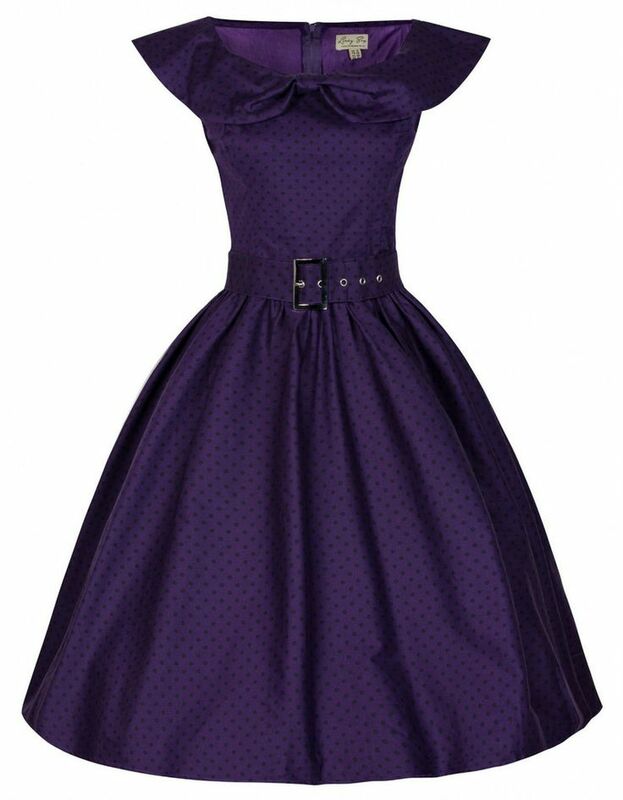 Hetty Polka dot 1950’s Swing Dress in purple. I would have preferred the blue or the red version, but both were already sold out. However, I’m thinking that there’s definitely not enough purple in my wardrobe so it’s a good thing that only this one was available. I’m totally broadening my collection. As for the style of the dress, I’m completely in love with the shawl bow collar though I’m probably going to chuck the belt. 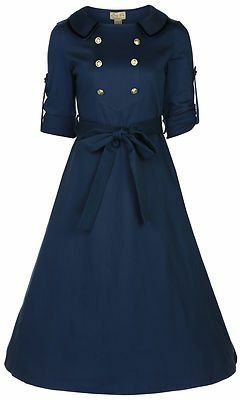 Last but not least is this gorgeous Velma Vintage WW2 Mac Style Military dress. This one is probably my favorite of the bunch. I love the anchor buttons, the collar with its satin trim, the gorgeous rich blue color. This will definitely be a statement dress, I have no idea where I’ll wear it to but I’ll think of something, this dress deserves an event. So what do you think of these dresses? They are all great looking dresses! The swan one is my favorite, too bad it wasn’t available in your size.